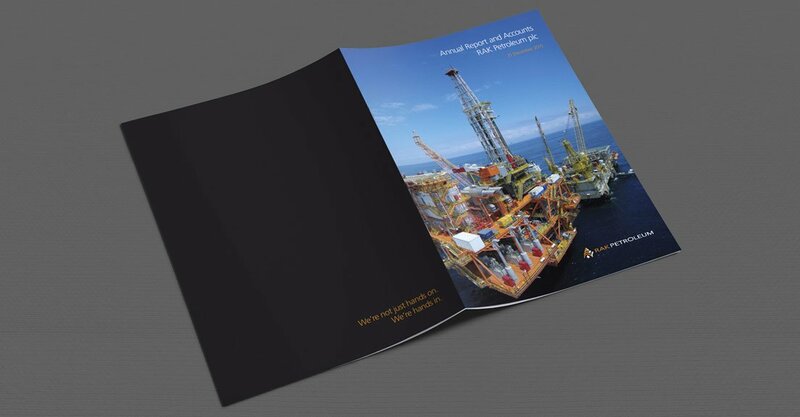 To create an Annual Report that effectively communicates RAK Petroleum plc financial and corporate achievements for the past fiscal year, within the guidelines as set out by the Oslo stock exchange. We delivered a sophisticated, clean design within the corporate brand standards whilst maintaining their unique identity. Creative photography was intelligently used to make the report both visually appealing and relevant. We project managed and accommodated feedback from various stakeholders from across the world including auditors, senior management, and the local marketing team. At the half year point the annual report is supplemented by a shorter interim report detailing current progress. For the third year in a row we delivered the final report as a web-friendly PDF on time and within budget and the client was delighted with the final result.